Disclosure: I received sample copies of the books highlighted below for review. I received no compensation and all views expressed are my own. My little boy has been obsessed with trucks for as long as I can remember. Since we are a little bit obsessed with reading, as well, I'm on the lookout for good vehicle-related books for our collection. 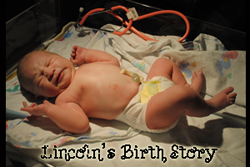 Anything with a car or truck seems to log more reading hours than other books - with Lincoln, at least. Today I'm sharing a couple of our recent favorites! 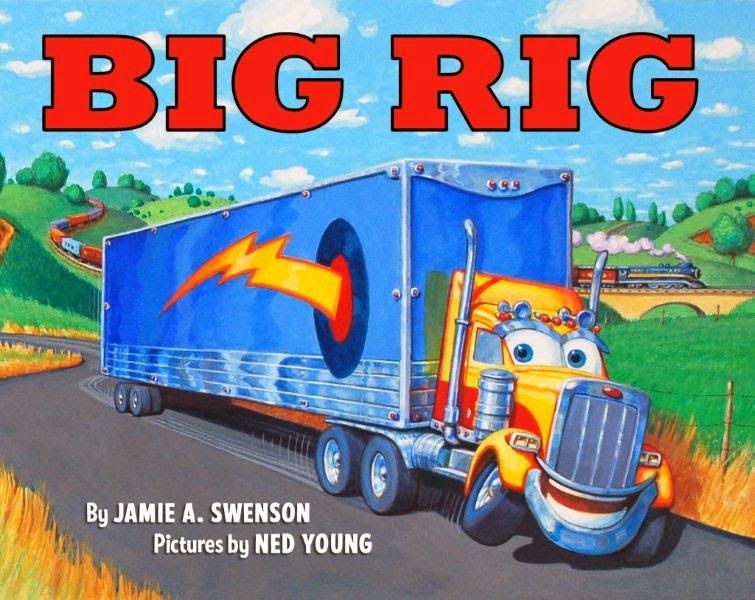 Big Rig, by Jamie A. Swenson, is a perfect preschooler introduction picture book. We've just started reading books with paper pages in the last few months, and I love that this one is not overly filled with words. The pictures do most of the storytelling, which is great for busy little boys with short attention spans. 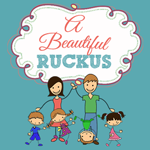 This book is aimed at ages 3-5. There are lots of loud truck sounds included in the text, to allow dramatic parents to astound their kids with their noise-making abilities. Near the beginning of the book, we get to count all eighteen of the wheels on this big rig, which helps to reinforce number learning. Lincoln calls this the "flat tire book" because after several pages of learning about how big trucks operate, Frankie - the semi truck - has a tire blowout! He has to wait for a repair truck, but that doesn't stop his spirit! We love reading this story over and over - there are lots of new details in Ned Young's illustrations each time we read it! Big Rig retails for $16.99 and is available for purchase now. You can visit the author - Jamie Swenson - online. 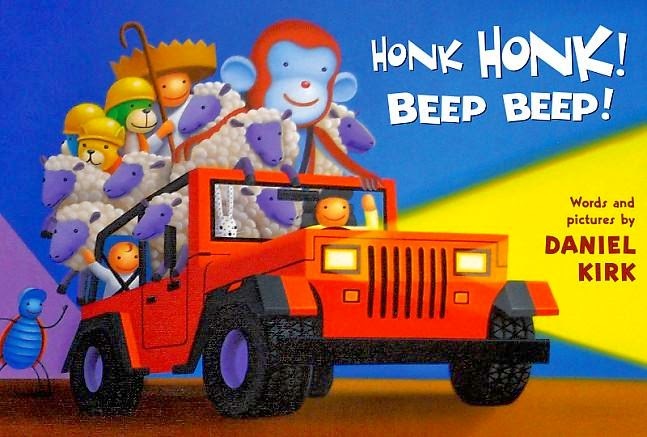 Honk Honk! Beep Beep! 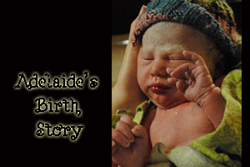 is popular not just with Lincoln, but with Adelaide (16 months), too. This is a board book written and illustrated by Daniel Kirk, featuring the journey of a little boy's toys to greet the morning. A father and baby start off in their jeep and pick up lots of friendly passengers along the way. This book is the perfect size for toddler hands and features a rhyming text that is fun to read. The story also features a monkey who is distressed because his car has a flat tire, so Lincoln makes sure to point that out every time we read it. Flat tires are a big deal around here. Addie loves the monkey, sheep, bear, and choo-choo train that appear throughout the story. You can read more about the author, Daniel Kirk, on his website - turns out he also illustrated one of our other favorite truck books, My Truck Is Stuck! Do you have any other favorite vehicle books for kids? Disclosure: Thanks to Disney Publishing Worldwide for my review copies of these books! I received no compensation and all views expressed are my own. For more information, you can read my Disclosure Policy. We'll have to check them out! We too love truck books at our house. Our favorite truck book is probably "Rough Road" by Kate Davis that I actually picked up for $0.25 at a garage sale a couple summers ago. I've never heard of Rough Road; we will have to see if the library has it! My husband is an engineer for Kenworth semtrucks, so big rig books are heavily sought after by us :) I'll have to check this out!